I am totally bent out of shape this week. My littlest is teething (her first tooth) and she’s never, ever fussy, but THIS week, she’s like a non-stop fuss-train on the way to fussy-ville. It’s been crazy. My other daughter (the middle kiddo) is totally over her bout of pneumonia, so her energy levels are back and–wow, I’d forgotten how much of a handful she is. So, between the two of them…I need a little “me moment” today. I needed one yesterday, too, but that didn’t happen (we had a play date that ate my whole day). So, today, I had a moment of me time–no ifs, ands or buts. 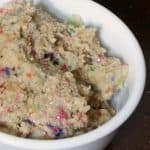 I made a batch of Eggless & Dairy-free Cake Batter Dip. So delicious. Like eating a cake, only more fun because it’s not a cake. Like kind of the best thing since sliced cake. Heh. Flour or oil a round cake pan. 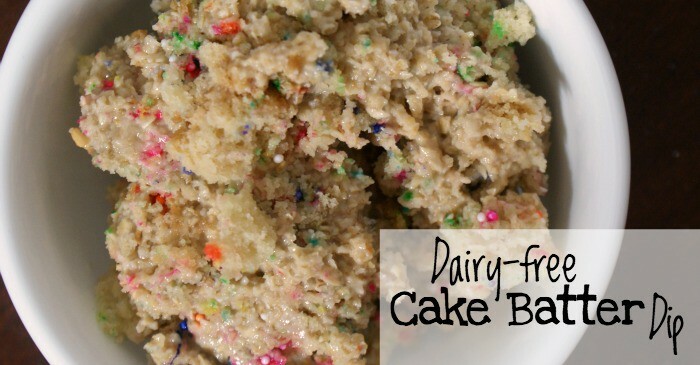 Mix all cake ingredients together in a large bowl, except for sprinkles. Add sprinkles and stir them into the batter. Bake for 30-45 minutes or until a toothpick comes out clean. While that is cooling, mix ingredients for dip, except for sprinkles. Slice the cake into small 1/2 inch to 1 inch squares. 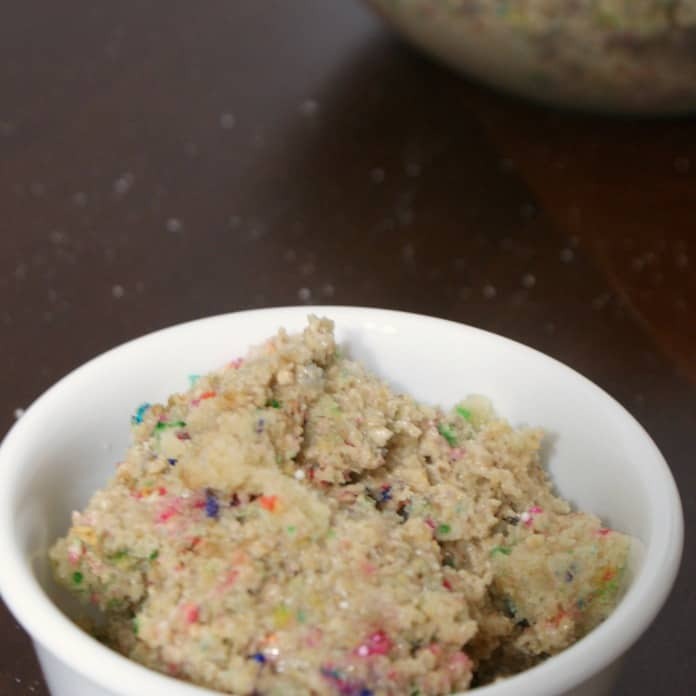 Add funfetti sprinkles and cake cubes to the batter mix and fold them in. Allow to sit for 10 minutes at room temperature and it’ll firm-up like crazy! 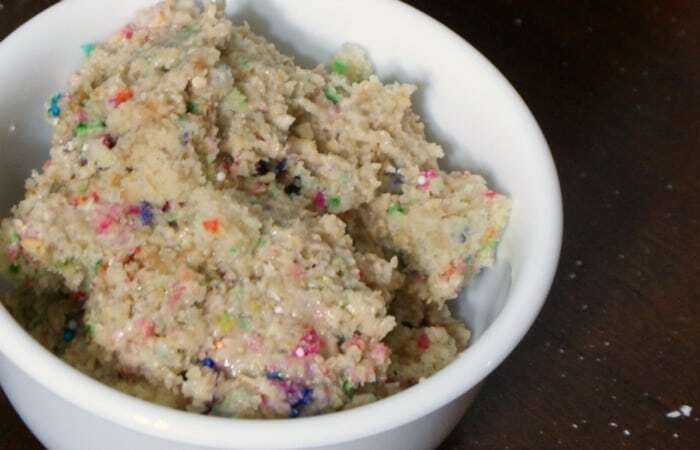 I made a batch of Eggless & Dairy-free Cake Batter Dip. So delicious. Like eating a cake, only more fun because it's not a cake. Like kind of the best thing since sliced cake. Heh. Allow to sit for 10 minutes at room temperature and it'll firm-up like crazy!